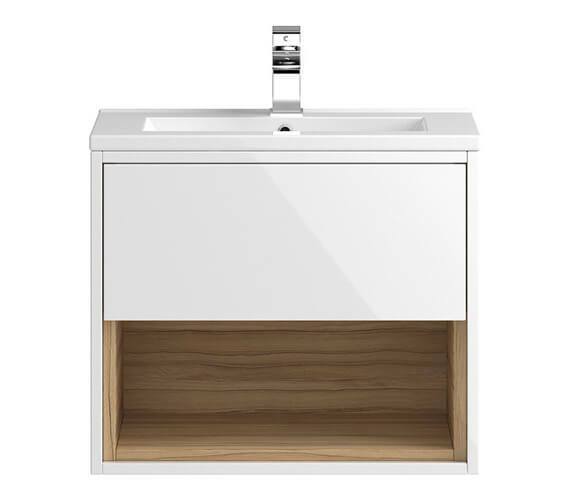 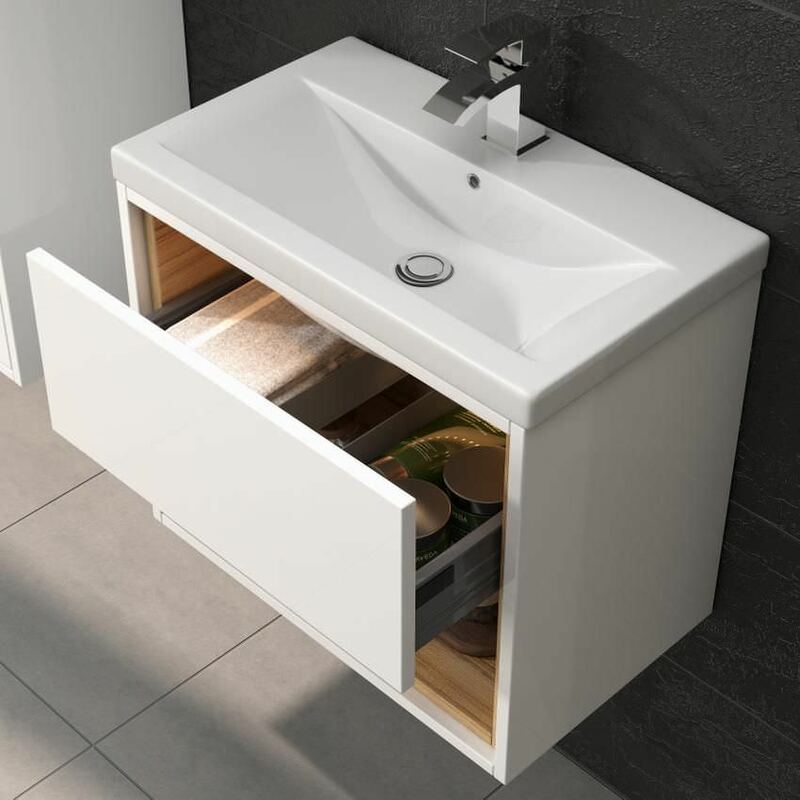 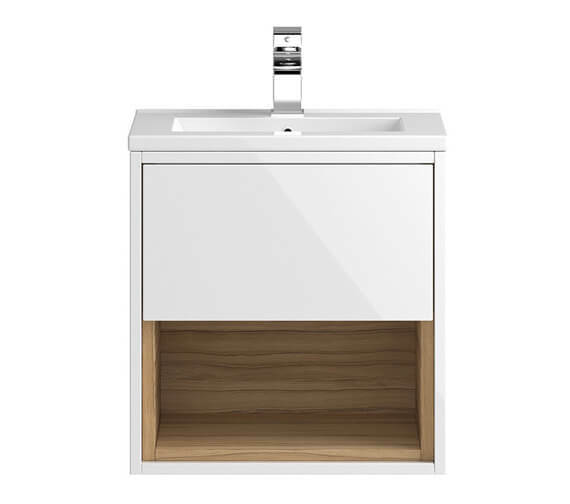 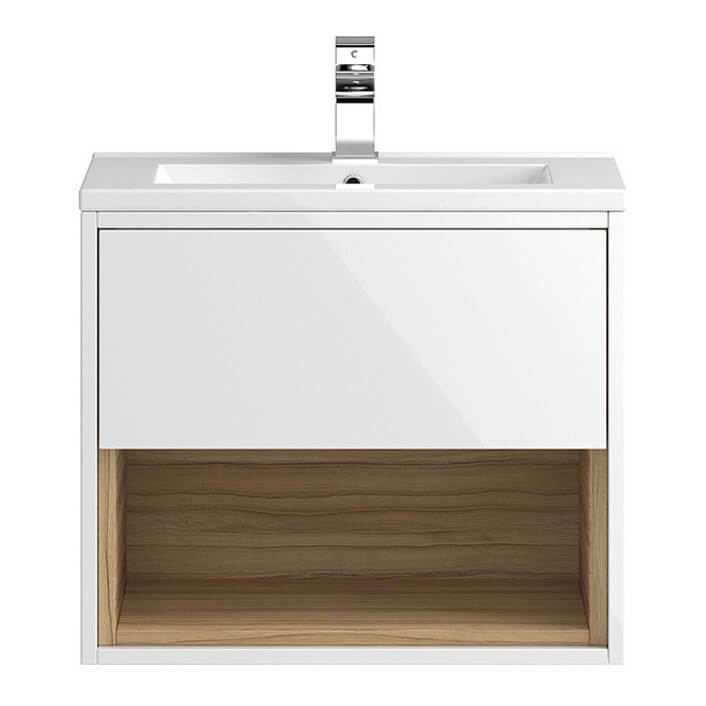 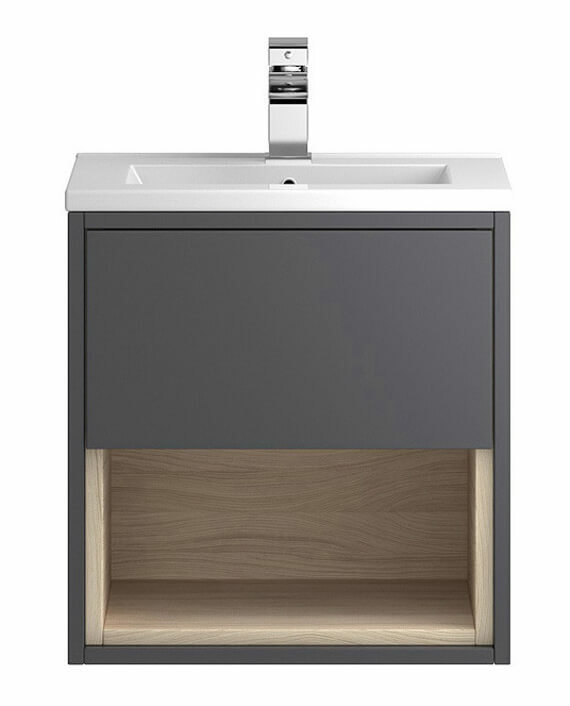 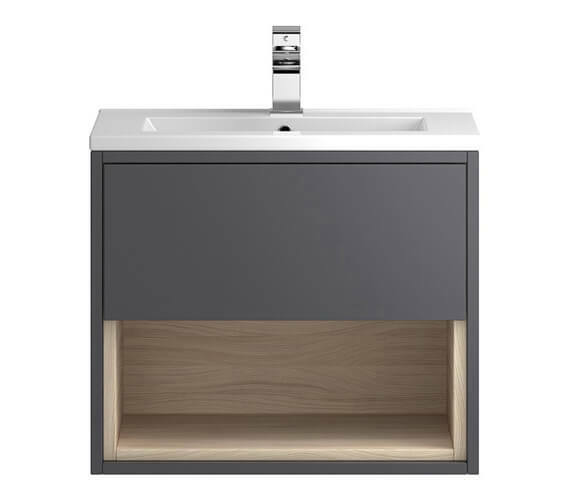 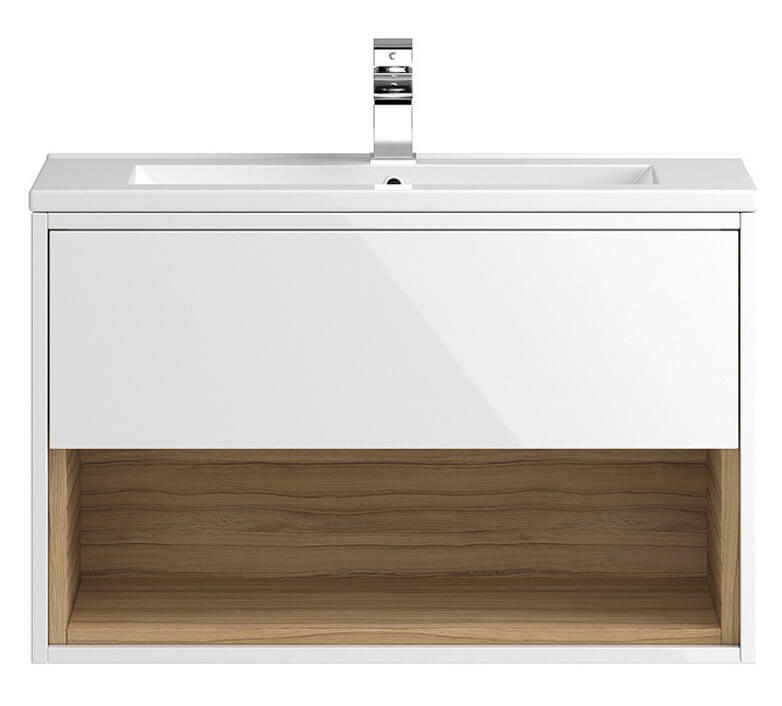 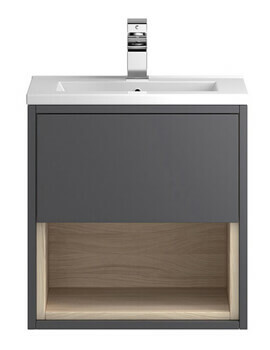 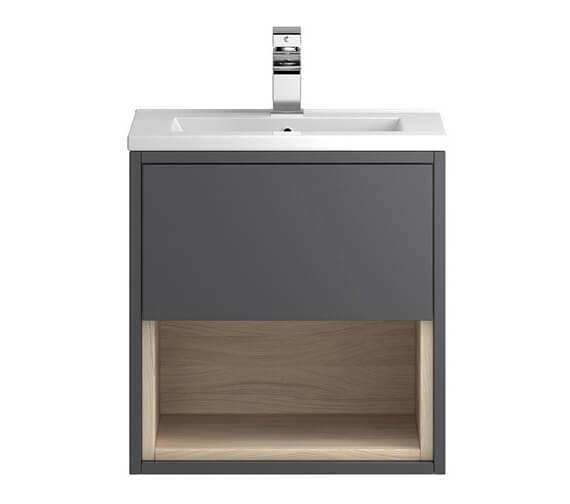 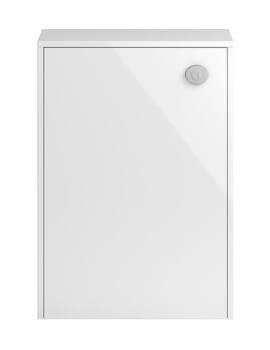 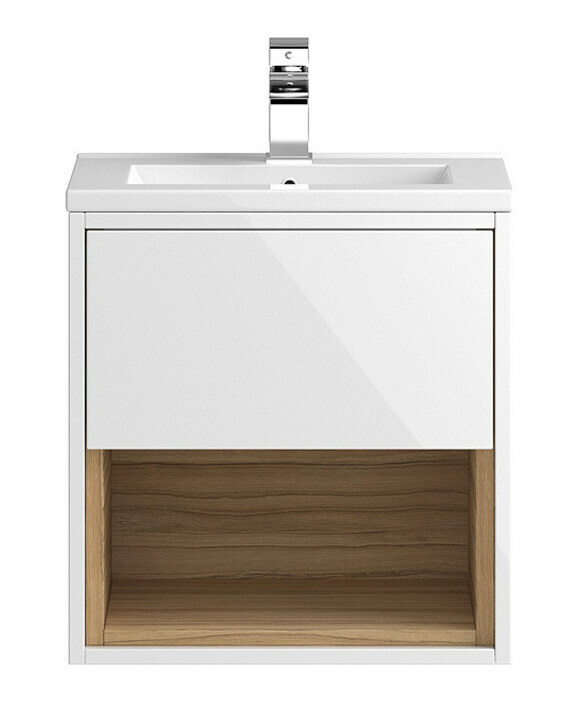 Ideal for any transitional, traditional or modern bathroom, the Hudson Reed Coast Wall Hung Unit And Slimline Basin is a helpful way to save space in your smaller bathroom. 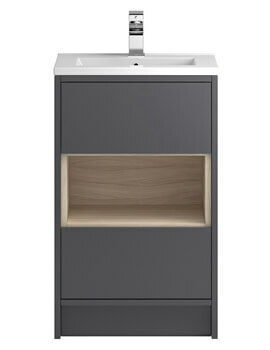 It comes with cabinets, drawers and a basin as well. 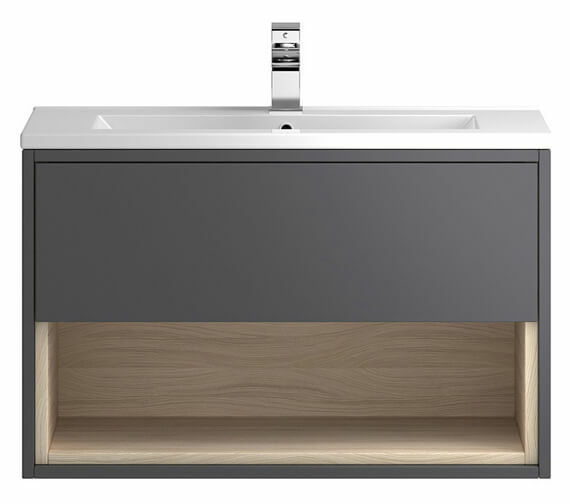 The drawer on top has a contrasting colour with the open shelf at the bottom. 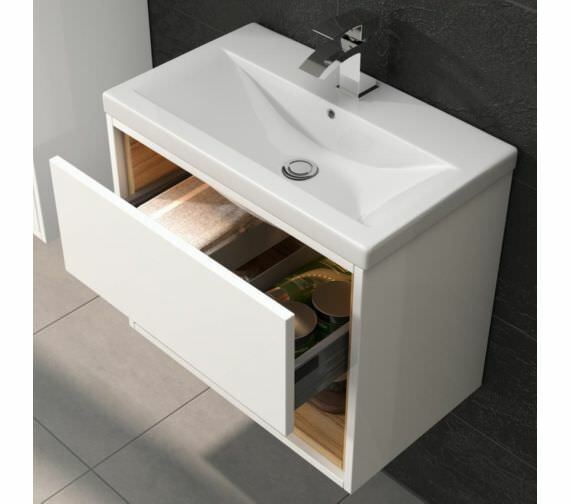 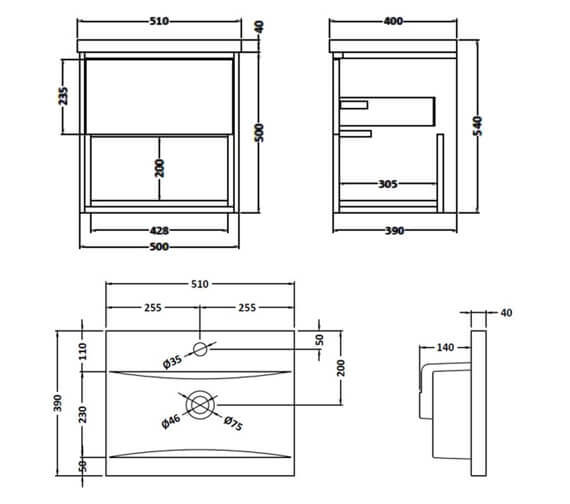 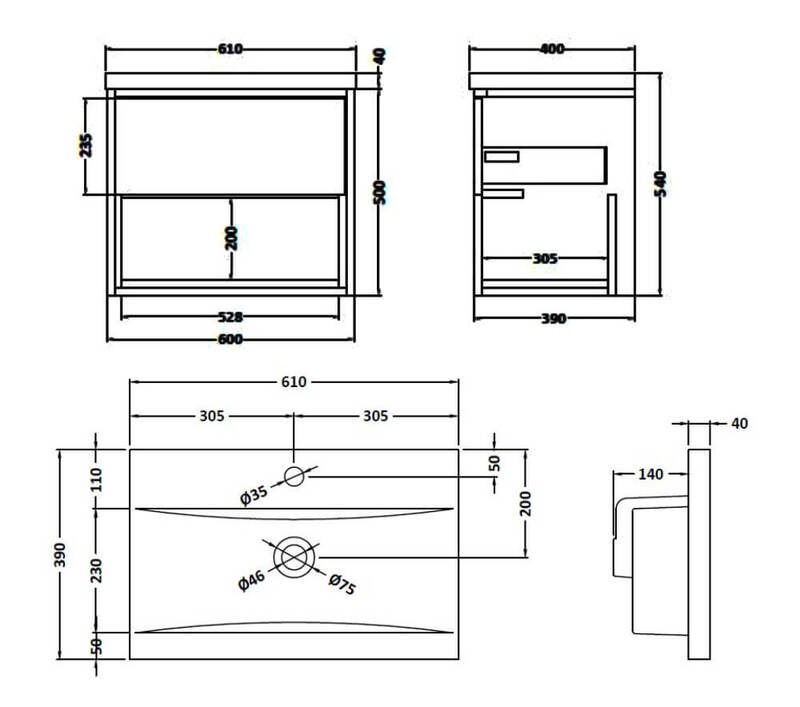 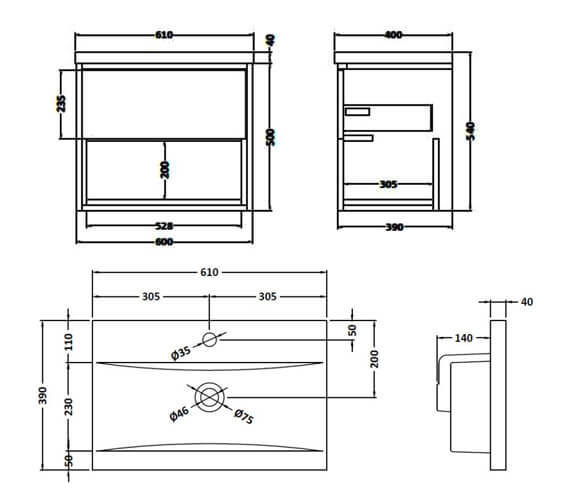 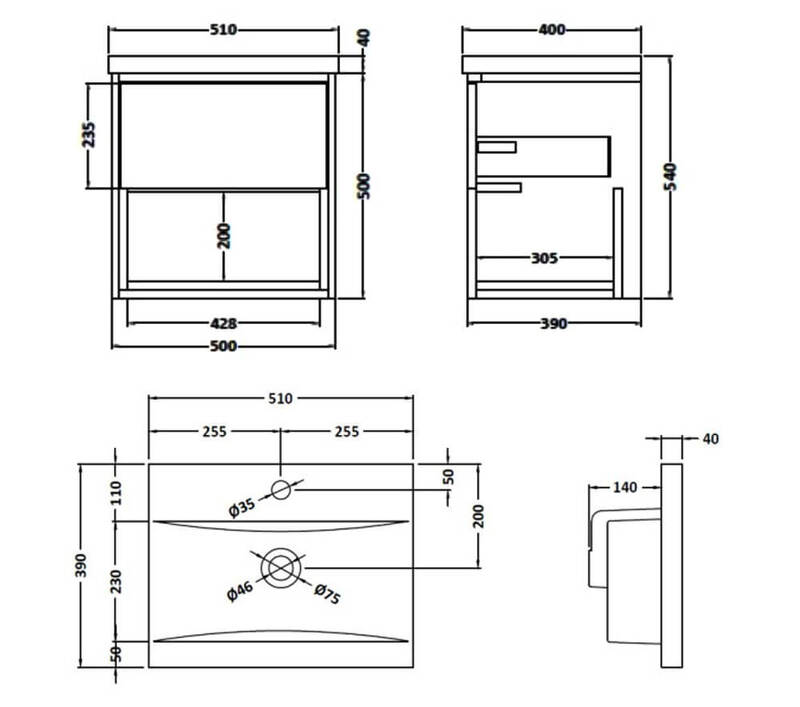 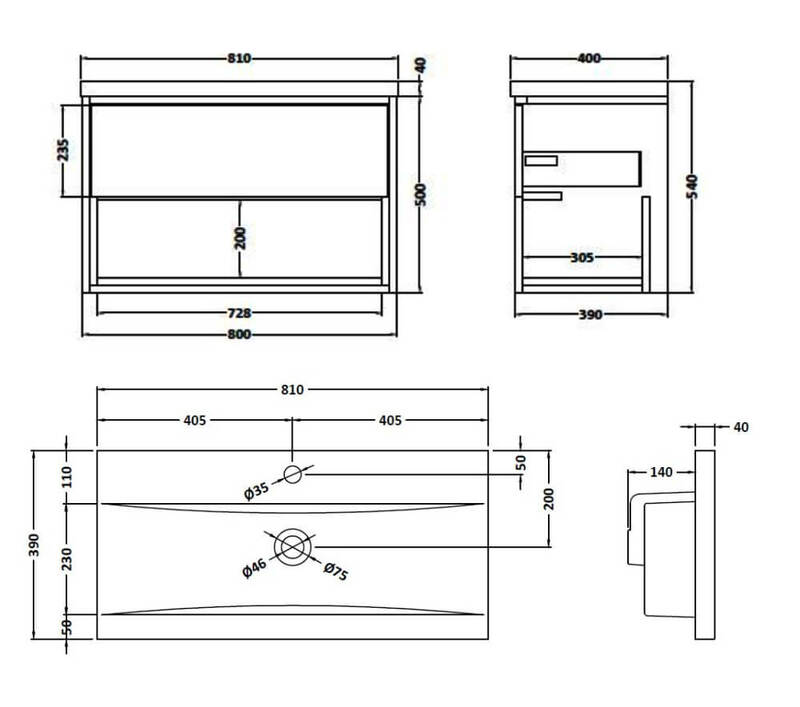 The drawer features a push open mechanism for ease of use. The top of the unit is taken up by a basin that is made out of white ceramic. 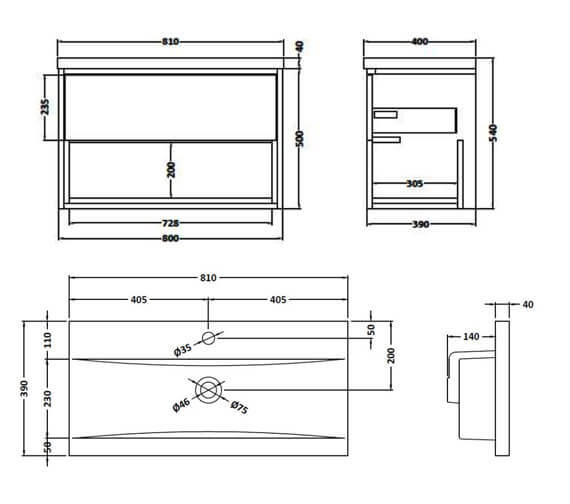 It measures 600 millimeters by 390 millimeters by 500 millimeters.